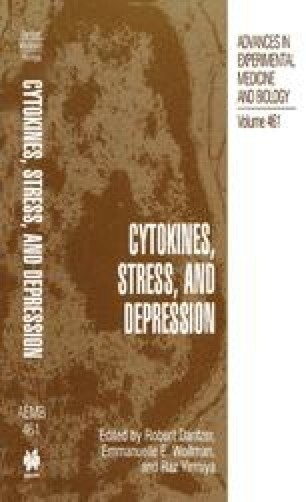 Proinflammatory cytokines, including interleukin-1beta (IL-1β), IL-6, and tumor necrosis factor-alpha (TNF-α), are proteins created and released by a wide variety of immune cells in response to infection, inflammation, and tissue damage. These proteins have long been recognized as critical communication factors for orchestrating early responses of immune cells to such immune challenges. More recently, it has become accepted that these same proinflammatory cytokines are key mediators of immune-to-brain communication as well. In this role, proinflammatory cytokines communicate to the brain, thereby orchestrating sickness responses including fever, decreased food, and water intake, increased sleep, increased pain responsivity, and so forth (Kent, Bluthe, Kelley, & Dantzer, 1992; Maier & Watkins, 1998). Thus, it is clear that proinflammatory cytokines are importantly involved in the response of both the immune system and the central nervous system in these situations.